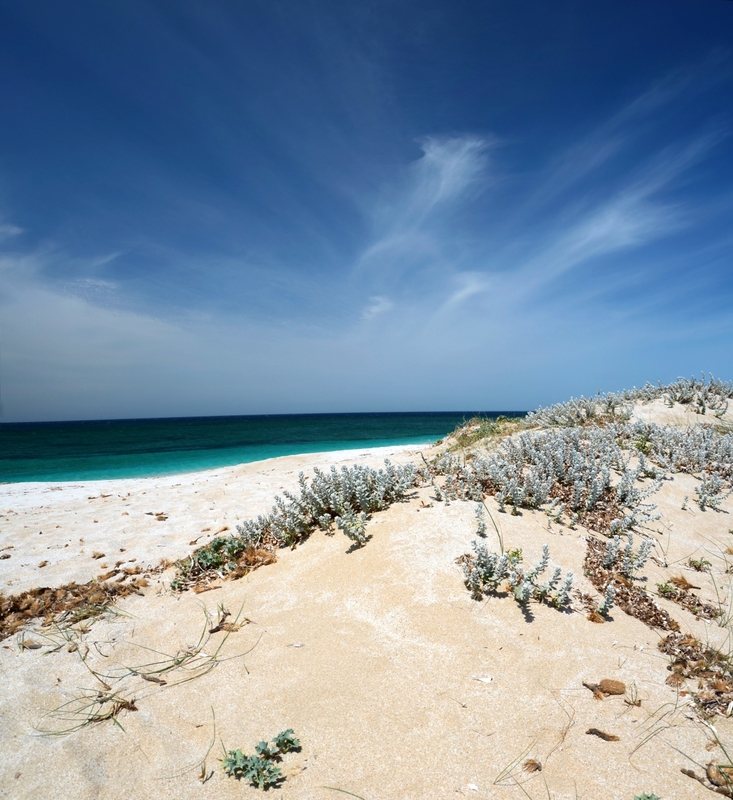 The name means ‘the sands’, or more specifically 'sand dunes' and they are among the most extensive in Italy. It is a small desert, where reforestation began in the 1950s, with pines and acacias, because the dunes risked expanding and turning the internal area into a desert. Today it has become a vast green area, where there is a pine forest and a golf course. 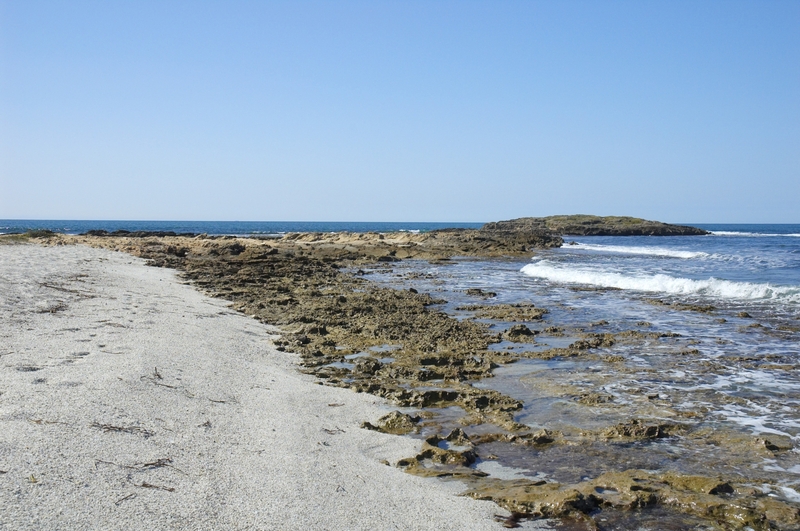 Is Arenas (or Sas Renas) stretches for almost six kilometres: it is one of the longest beaches in the Oristano area, delimited to the north by the tip of Torre del Pozzo and to the south by a canal that links the sea and the pond of Is Benas. The central (and largest) part of the sandy shore is in the territory of Narbolia, while the southern part is in San Vero Milis and the northern part is in Cuglieri. The beach has reddish-yellow sand with hints of gold, mixed with pebbles and shells on the water's edge. In some areas, you can admire pure white sand, like grains of rice, washed by the transparent water. Behind it, the landscape is dominated by the woods of Montiferru, while towards the sea you will see Capu Mannu, the northern tip of the Sinis peninsula and the protected area in which it is located. It is often windswept by the strong northwesterly mistral wind and is, therefore, frequented all year long by windsurfing enthusiasts. Entering the water is not recommended in such conditions, while simply observing the sea will give you exciting sensations. The beach can be accessed by the disabled, it has ample parking and it is suitable for camper vans. There are also campsites, restaurants and bars. 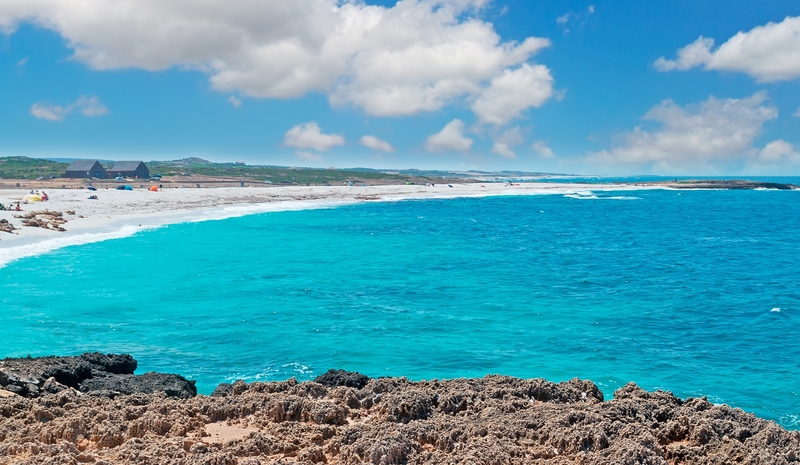 The central stretch of the western coast, in the province of Oristano, is made up of beaches with fine sand or grains of quartz alternating with cliffs. Not to be missed, a little to the north of Is Arenas, is S'Archittu of Santa Caterina di Pittinurri (Cuglieri), one of the symbols of Sardinia, and also the beautiful beach of Putzu Idu. To the south, there is the Sinis peninsula, which boasts three absolutely beautiful pearls in the territory of Cabras: Mari Ermi, Maimoni and Is Arutas. 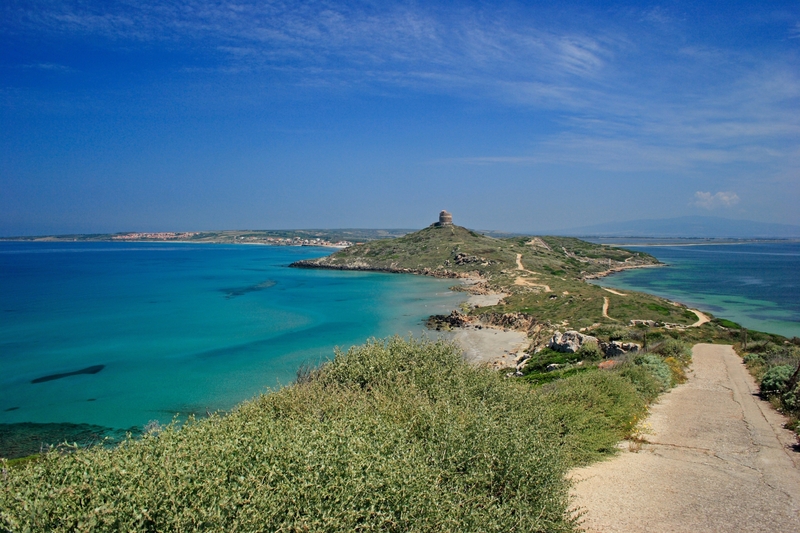 Descending along the gulf, you will find the marina of Torregrande, the city beach of Oristano, and San Giovanni di Sinis, near the archaeological site of Tharros. 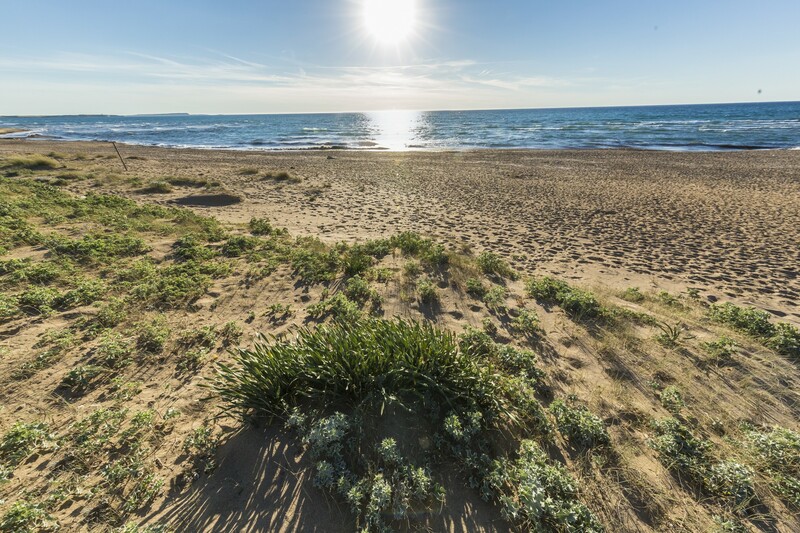 From the town of Santa Caterina di Pittinuri on the SS 292, go along in the direction of Oristano for 3.3 kilometres, then turn right onto a dirt-track road, and after 400 metres the beach of Is Arenas is reached.